Very much in the old traditional Speyside style. This has a little more smoke than you would expect from the region these days and also has some wonderful Sherry wood character. Nose There’s a lot going on… beautifully balanced sherry aromas with vanilla pod, zesty orange and spicy ginger complemented by delicate chamomile and menthol notes. Palate There’s luscious, rich fruit cake with stewed plum, red apple skin and the sharp edge of kiwi fruit. Colour Note the especially golden amber colour, thanks to the long maturation in sherry and bourbon casks. Types of Barrel used for Aging A mix of ex-Bourbon and Sherry casks. Predominantly Sherry casks. 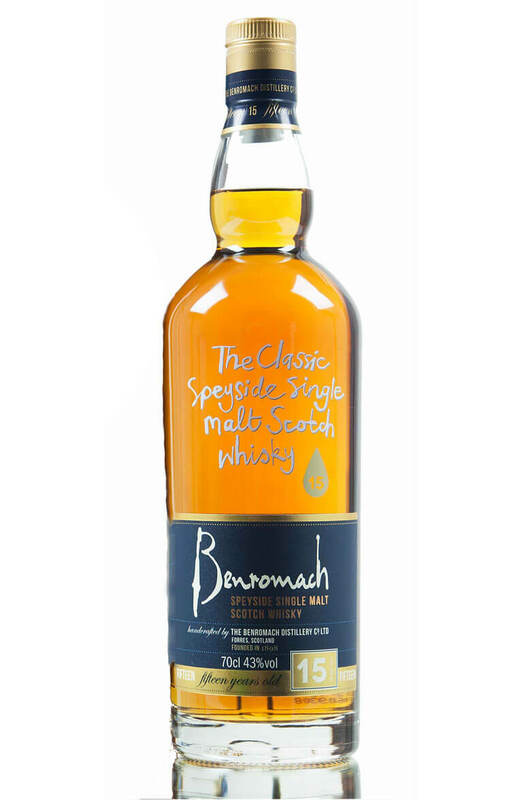 A new release from the smallest distillery in Speyside which has been lovingly restored by the good .. Packed with pungent, smoky flavours thanks to a peating level of 67ppm. This style of whisky is only..
Part of a series known by many collectors as 'Dumpy Bottle'. This 18 Year Old was distilled by Sp..